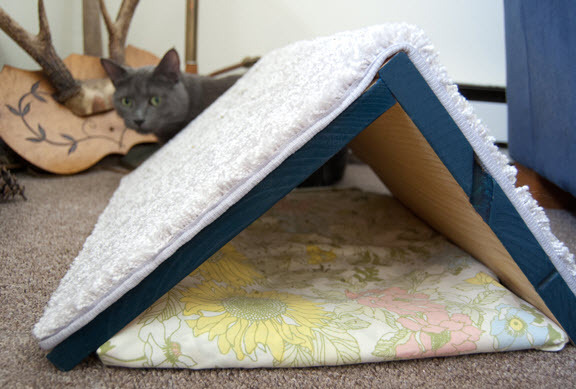 Make a scratching area and tent-like hide for your cat! Cut two sturdy wood boards to the desired sizes needed for the tent. Attach the boards in the A-frame shape using wood glue and nails. Sand the edges of the wood boards if needed, then paint the frame. Lay a throw rug over the top of the tent and staple the rug in place. Fold a blanket to fit under the tent as a bed.